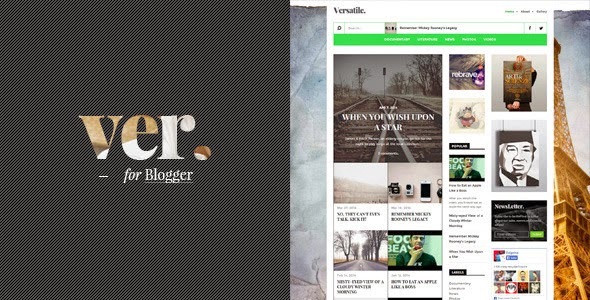 Description: Versatile: A Worth Buying Magazine Blogger Template is A good template must handle content in standard Blogger way. VER comes with that purpose and it was designed with simplicity in mind Your content is king, and VER presents it elegantly. Select from 2 different grid views (masonry, and brick) and customize it via Template Designer to suit your need. With support of 3 various post styles, create your own visual style. 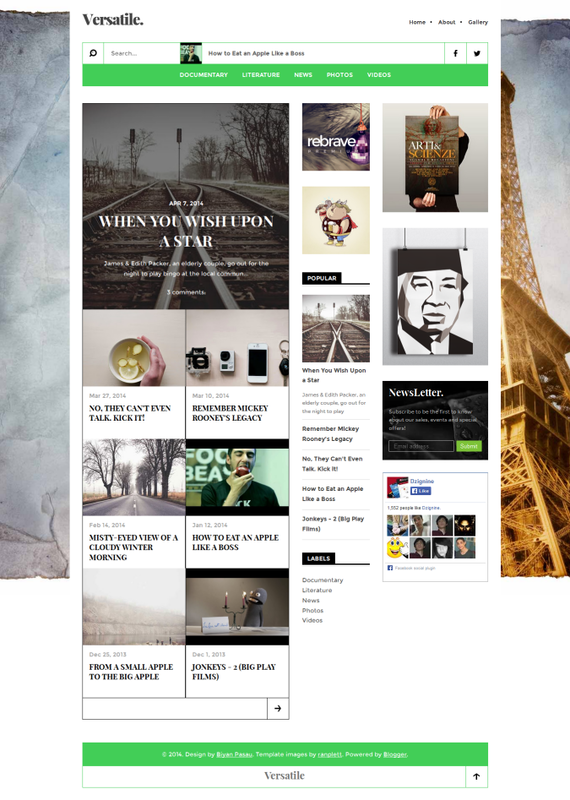 Primary Features: Various typography and colors options, make the theme really yours, Auto featured post. And it?s native!, Random recent post, 2 grid views: Masonry & Brick, Tablet optimized with off-canvas sidebar, Customized-ready widgets: Popular posts, Newsletter Supports 3 various post styles: Video, Image, Standard Well coded by the expert Adsense optimized sidebar: Skyscraper, Banner Selectable metadata.